It's hard to imagine me sitting still for two hours, "doing" nothing. But the other afternoon, I did just that. 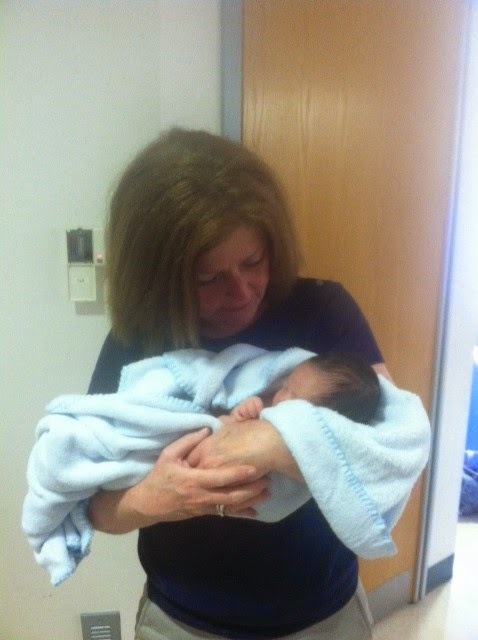 Sat completely still, holding my newborn grandson. Aiden Jacob, in his two short weeks with us, has turned our household upside down. 24/7, we are aware that there is a baby on the premises. We speak in hushed tones, and turn the sound down on the TV, lest we disturb his (occasional) slumbers. Our arms are ever ready to cuddle and rock him. We are always listening for him to start fussing, and his infant screaming brings me right back to my life circa 1984, when Aiden's father had me on the same high alert. Our little guy has been a trouper, handling being held by a parade of adoring family members and friends with equanimity. But there are many times when no one but mommy Ya-Jhu will do. We are trying to give her as many breaks as we can, but as a nursing mother she is constantly on call. In short, it is happy chaos around here these days. I was never much of a meditator. During my one and only yoga class years ago, I groaned my way through the various poses, counting the minutes until we could bow and say “Namaste” (I bow to the Divine Spirit in you) to each other. That was my signal to grab my bag and hightail it to the parking lot, where I would rapidly lose my bliss merging into the rush hour traffic. Over the years, I have visited Buddhist temples and Quaker meetinghouses, where I have alternately chanted and kept utterly silent, waiting for the magical calming of my mind and spirit these faith traditions offer. No dice. Those were the moments my wayward brain would play "We Are the Champions" on repeat, and my thoughts would drift to whether I had remembered to pull the fish out of the freezer for dinner. When it came to "being there," I usually bombed. So why did I feel so “there” that day? Because I held my grandbaby, and there was absolutely nothing else I could do. Didn’t try to read a book, eat or drink, use the computer. I held Aiden, and time stood still. His furrowed brow (what was he dreaming about? ), his impossibly small fingers with their miniscule nails, his intoxicating smell—all completely captivated his Nana. I held Aiden, and 5:30 PM became 7:30 PM in the blink of an eye. I noticed ephemeral things: the heaving of his little chest as he breathed, the breeze floating in through the screen door, the birdsong fading into cricketcall as dusk began to replace day. His soft, warm body, so innocent and trusting, curled into mine, and I was as utterly content as he seemed to be. 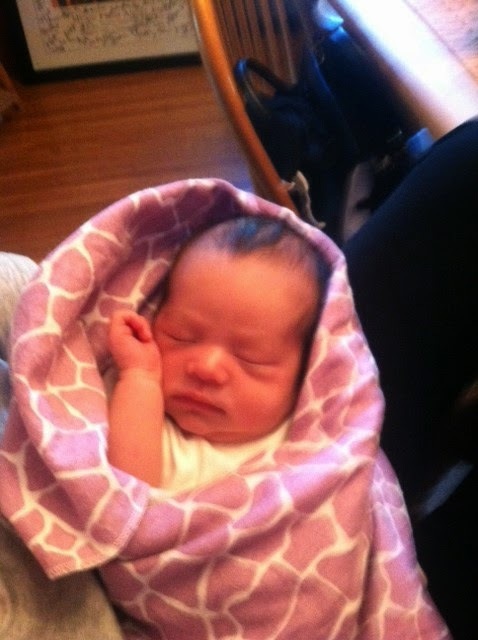 It took holding this precious baby to make me stop and pay attention to the beauty of life. So thank you, tiny teacher. May I continue to learn from you. Namaste.